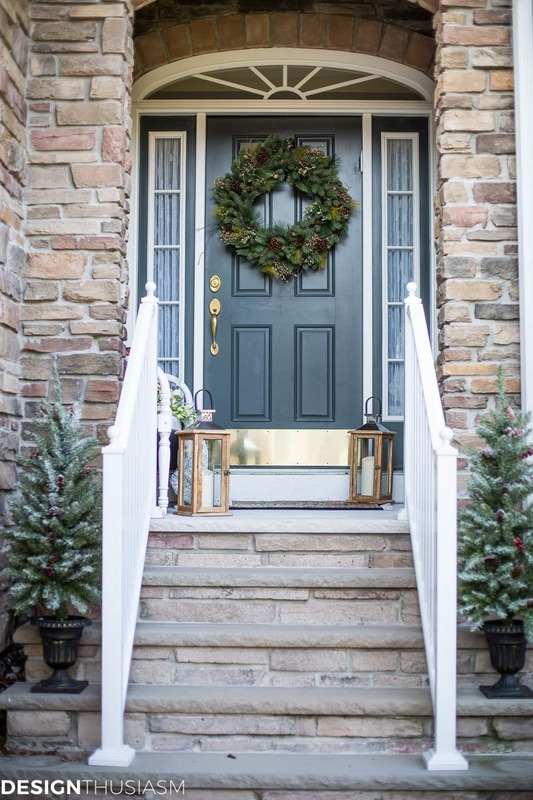 Do you ever drive around the neighborhood looking for inspiration for your holiday entryway? And, inevitably, you spend the most time stopped in front of the vastest properties in town. Yep, it looks beautiful. But what happens if you only have a tiny front porch? Unless you live in an apartment, I’m pretty sure your front porch is bigger than mine. But you’d be surprised what you can do with a tiny space. 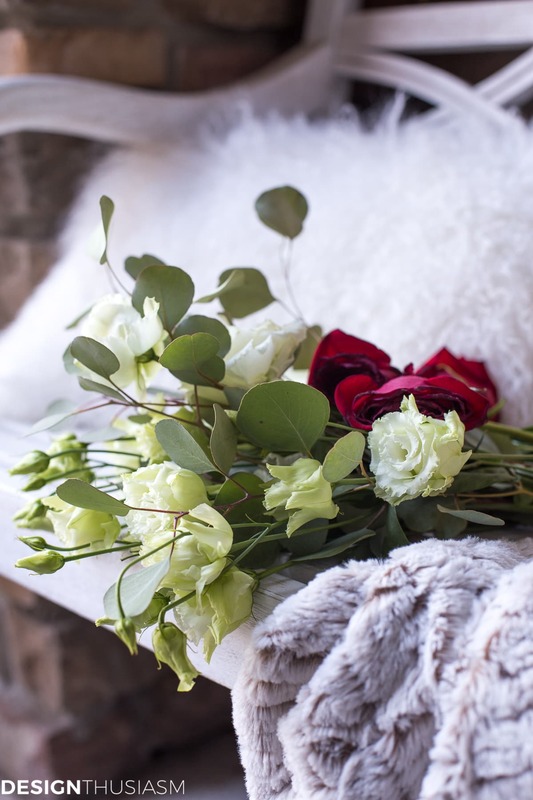 In fact, in some ways, decorating a small space is easier than trying to make an impact in a larger area. 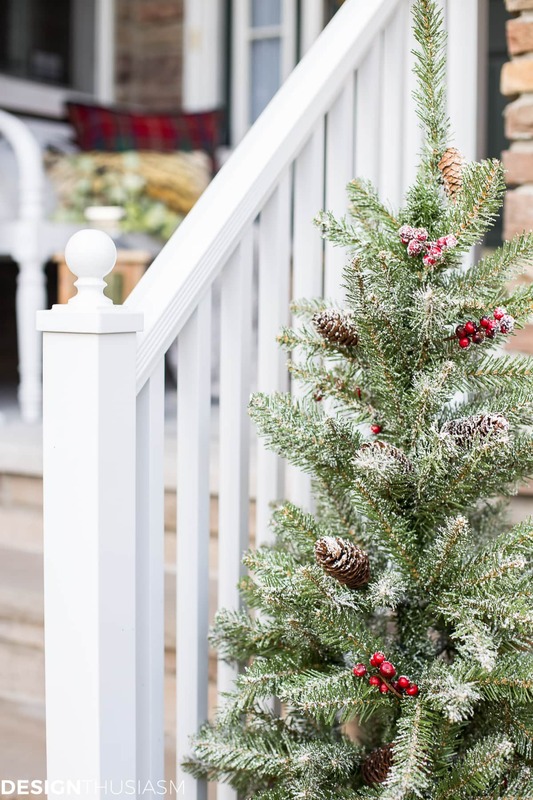 Let’s look at some easy outdoor Christmas decorating ideas for a tiny front porch. A couple of years ago when my kids got their own apartments, we moved into a townhouse. It’s quite spacious on the inside, but our front entry is little more than a narrow stairway and a landing by the front door. On one side of the door there’s just enough space for a small garden bench. I was initially uncertain whether to use this precious bit of real estate for a piece of furniture, because it meant we couldn’t flank the door with planters. But I actually like having a place to sit and it’s a convenient spot to have packages or deliveries waiting for us when we return home. My whitewashed bench is the perfect backdrop for a winter seating vignette. 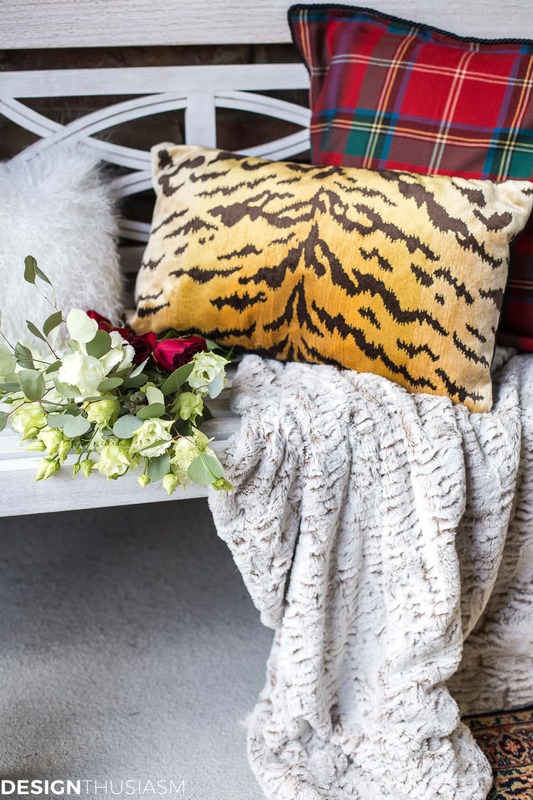 Wool and faux fur are the fabrics of choice as they promote a warm and cozy feel. 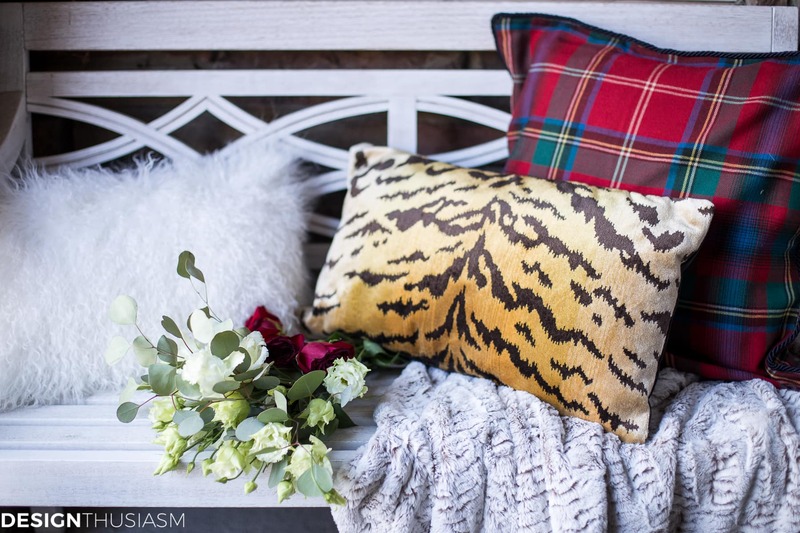 A fabric mix of tartan with tiger print and white fur makes a lush, rich holiday statement. There’s an overhang protecting this area, so while I wouldn’t leave these out during a winter storm, I’m not afraid for them to stay put on a nice chilly day. 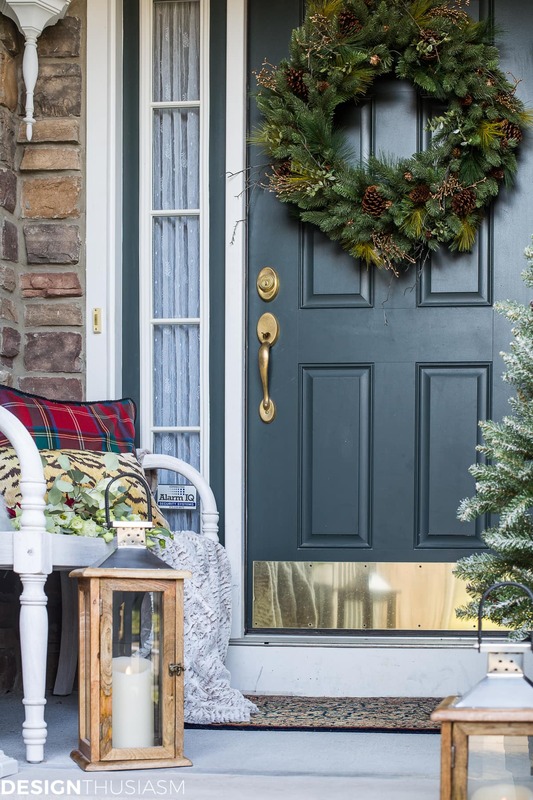 Our hunter green door happens to work well with this seasonal scene and is a wonderful place to host a holiday wreath. I could add colorful berries or ornaments to the greenery, but I was really enjoying the understated presentation. In a tiny space, less is more. We keep a pretty patterned rug by the entryway to catch dirt before entering the house. It adds a note of sophistication to the front entrance but is dark enough to hide the dirt. I took a break from my usual soft color palette and embraced claret and moss and winter white tones. I love the look of lanterns at the entry and these LED pillar candles are a brilliant and safe option for leaving unattended. 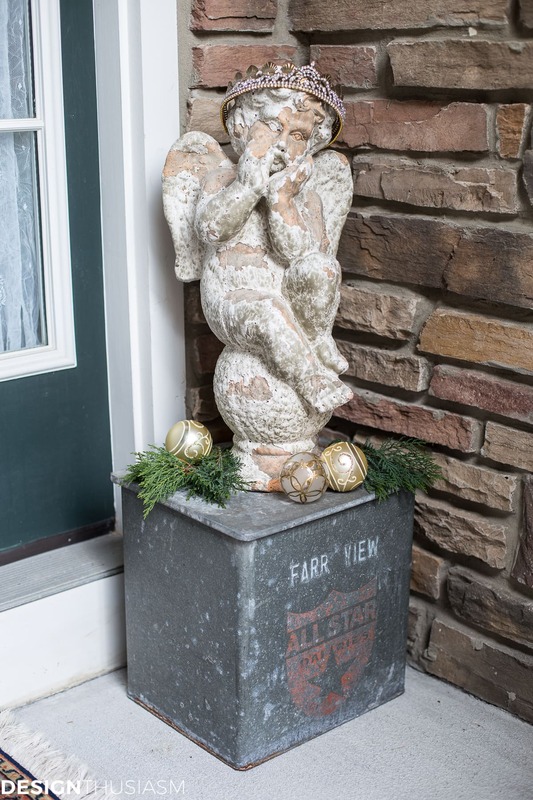 On the opposite side of our tiny porch I keep a vintage milk box, which became a terrific place to perch my cherub garden statue. 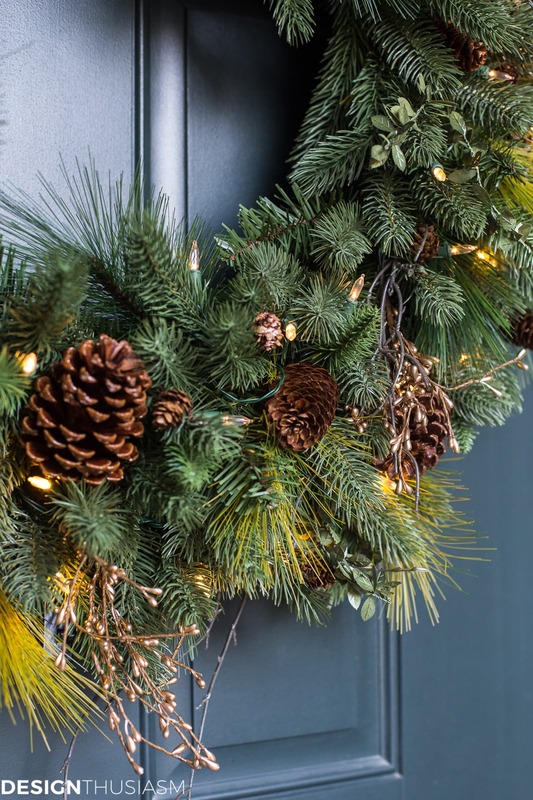 A bling-y crown, a few tossed ornaments and some sprigs of juniper are all it takes to dress it up nicely. And what’s a winter scene without some well placed pine cones? With lights on or off, the entry is festive. The front steps are actually not that narrow, but the way our railing is placed it feels pretty tight. To widen the space and take advantage of the full steps, I used a pair of entryway trees placed outside the railing. 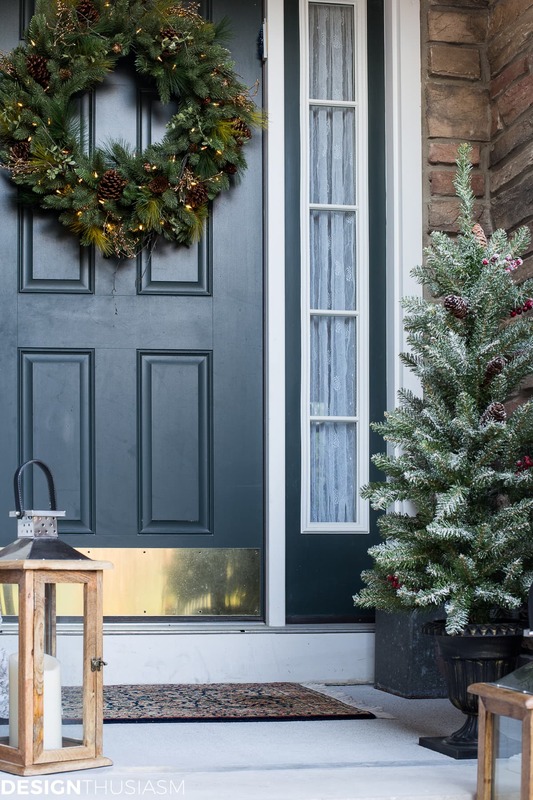 The flocking and berries lend that holiday touch and balance nicely with the greens on the door. I wanted the front porch to signal the season and do so in an understated but elegant way. Despite the limited size of the space I had to work with, I think it communicates what I wanted it to say. It welcomes visitors to come and celebrate and you don’t need a wrap around veranda to extend such an invitation. Your entry way is lovely. Mine is smaller ha ha. There isn’t room for a bench. Since I live in a white pine and Balsam fir forest, I make wreaths myself. The smell of the balsam is wonderful when pass through the doorway. Your entryway stone work is lovely as well; is that a stone veneer or actual stone? I love your tartan pillow; my husband wore a kilt for our wedding. Have a wonderful Thanksgiving, Lory. Love it! We have a “brownstone in the burbs” type of home and the front porch is tiny! Love tartan! Just got back from Ireland and love all things plaid! 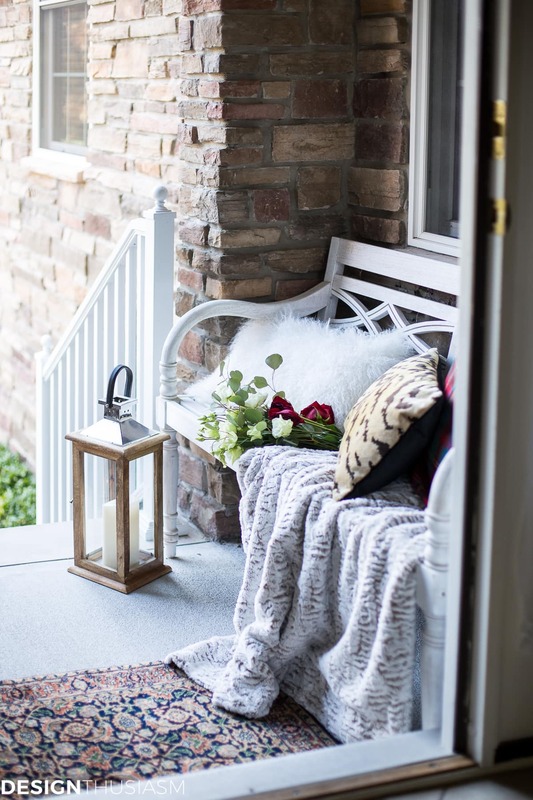 Love your front porch…and the house bricks are pretty too. The bench is a great idea and looks nice there. Even though our house is large and has a deck on the back our front porch is about the same size. I can only do a few things out there also. You are smart to have moved into a townhouse. I think we will have to do a similar move before long, this is getting to be too much work! Very pretty, and excellent use of the limited space. We, too, have a modest porch area but no portico to protect it. That is on my “Gotta Get ‘er Done” list. It would make decorating so much easier. On windy days like today, we’re shown NO mercy! It looks lovely! I never would have thought to put trees on the outside of the railings. Very welcoming! I think every porch should have a chair or bench. It says, “Welcome!”. We downsized once the kids were all gone for good to a rancher. 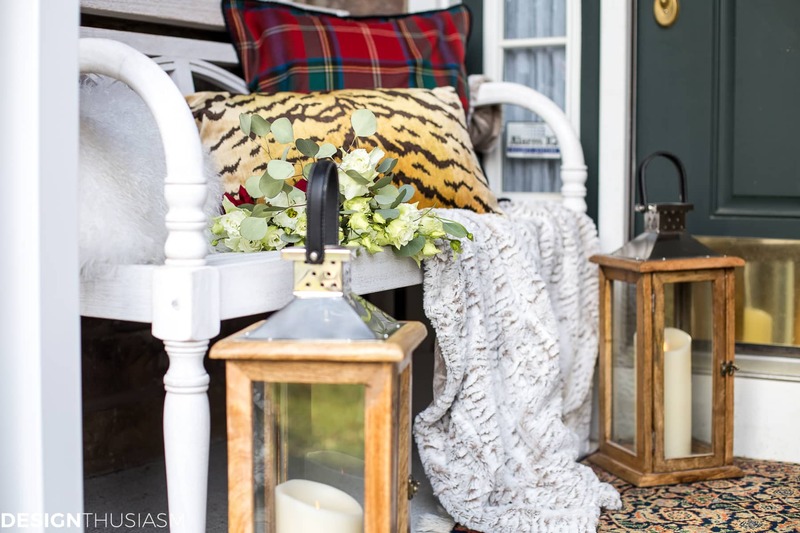 Luckily, I have a wrap around covered porch that I love to decorate for all seasons. I haven’t yet changed from my autumn to winter. You’ve put the bug in my head to get to it ASAP. Ha! 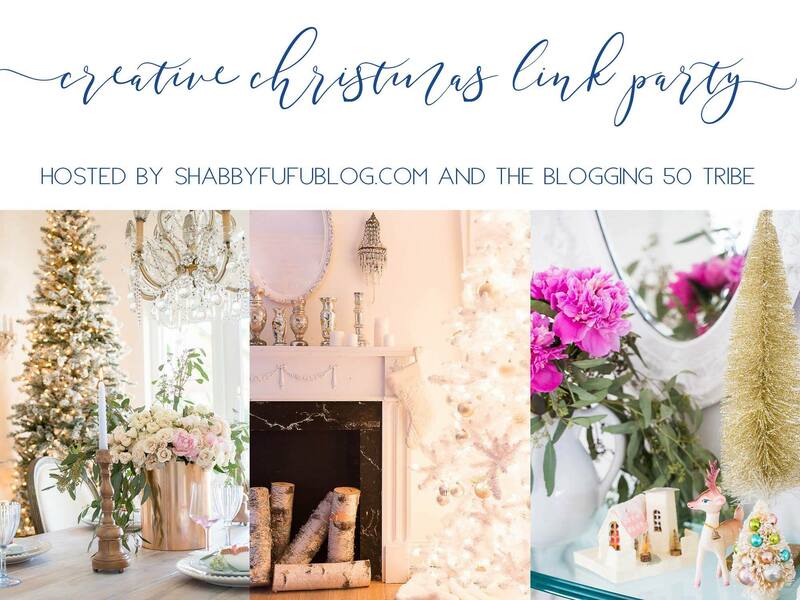 HI Lory, I love your cozy entrance and in particular that chippy Garden Angel with a crown that you recycle a lot…Just love it, thanks for the inspiration and Happy Thanksgiving! Small but o, so cozy! You have made the space shout out an invitation to sit and enjoy some cozy time on the lovely bench. 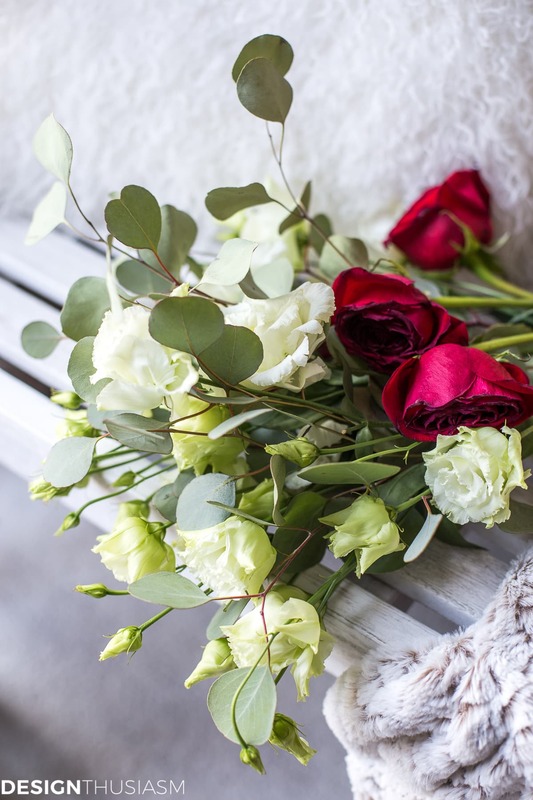 Simply beautiful & love every detail! Love what you did with the limited space Lory. 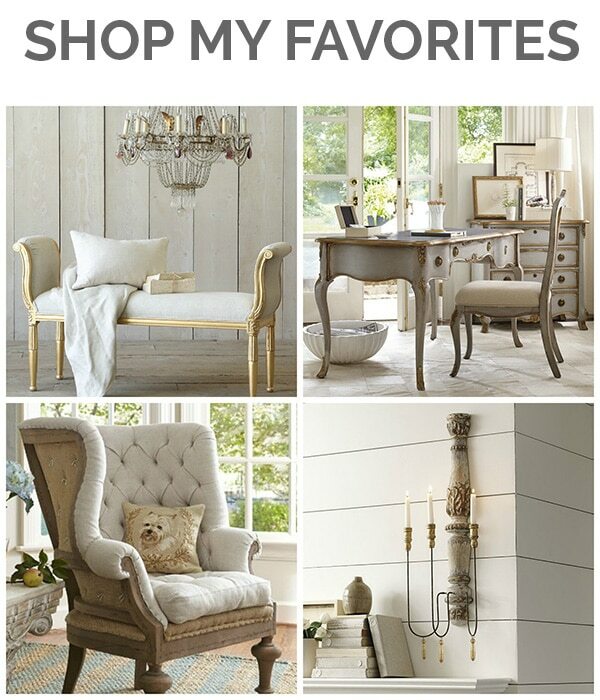 It’s so stylish and inviting and perfectly decorated. Just goes to show you don’t have to be limited by the size. Visiting from Blogging Fifty. This is an amazing decorating idea. It’s a very helpful idea for outdoor decorating. Thank you for share awesome tip. Looks greats…! It looks awesome and gorgeous. This is a very good piece of furniture. I like your tips and ideas. You have shared very good details. God bless and Happy blessed Thanksgiving to you and your family. Good job and keep it up.